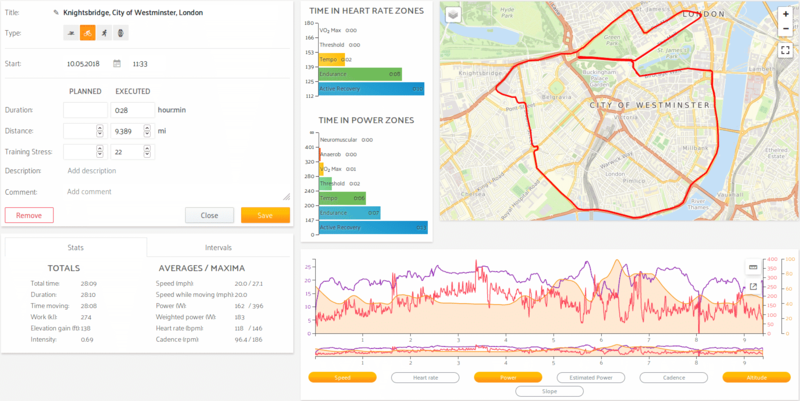 The freely configurable PerfectPace dashboard offers unique and meaningful statistics for in-depth analysis and monitoring of your training. Switch instantly between sport disciplines or the overall view with a single click. Two clicks suffice to select an arbitrary date range to be analyzed – for all charts at once. Prevent overtraining and realize your full potential! 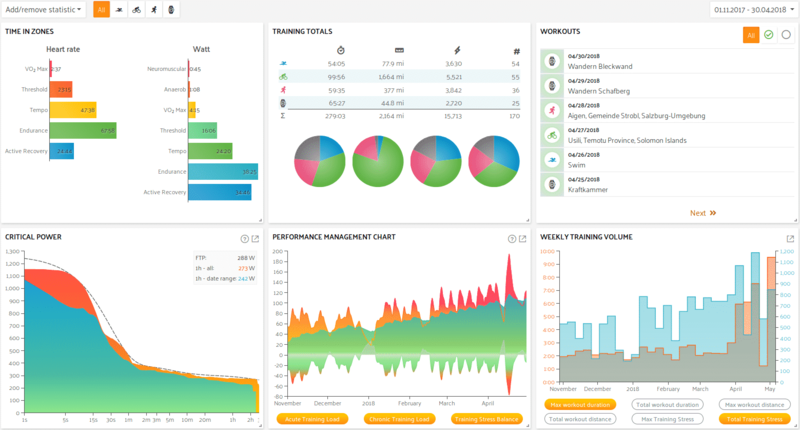 The Performance Management Chart puts the training stimuli of your workouts in relation to your fitness gained by continuous training. At the same time, it gives an excellent overview of your training progress. For more information, check out our blog article. 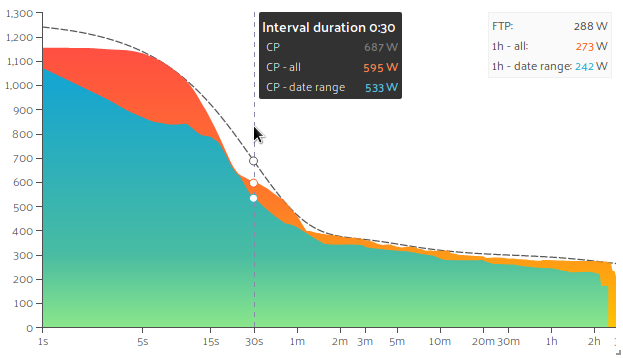 How much power can you maintain for a specific duration while cycling? Do your strengths lie in brief, hard sprints or long, constant time trials? Identify the areas in which you have the biggest potential and compare your current power profile with your all-time best. Key figures such as your FTP can be easily derived too. Compare how much time you spent and which distances you covered, per sport and overall. The calculated training stress values are ideally suited for an interdisciplinary comparison. How balanced was your training, or on which sport(s) did you focus? Verify that you trained in the zones matching your training goal. 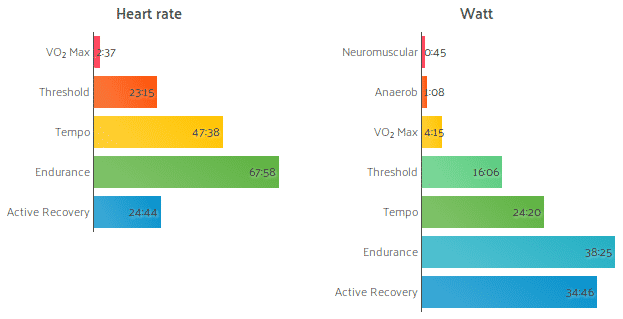 Compare your training volume (time/distance/training stress) on a weekly basis for a rough overview. Particularly handy when analyzing longer date ranges. 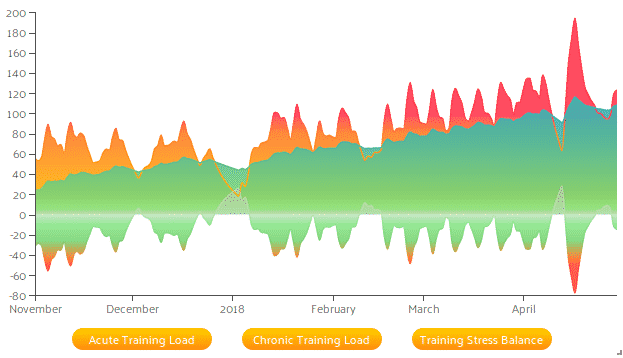 Keep track of your personal development as an athlete over time, e.g., your best times and your FTP. How does your weight develop in the course of a season and how does it affect your power? Use the W/kg curve to make sure weight reductions don’t have a negative effect on your performance. 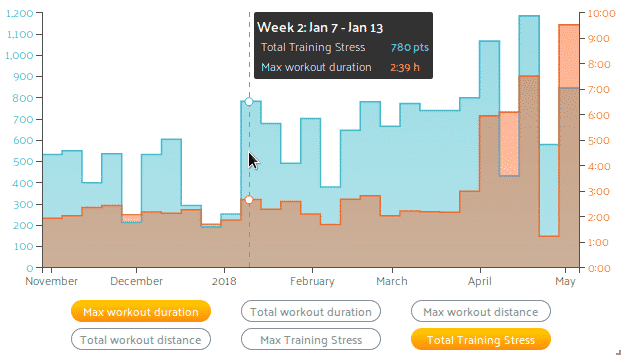 The calendar view includes a handy weekly summary of time, distance and training stress, per sport and overall. If you or your coach make use of the PerfectPace planning features, colored symbols quickly indicate whether the executed training was on target or by how much and in which direction it was off.